14 Years of Reliable Tucson Computer Repair! We’re a Trusted, Proven Quality, Locally Owned Tucson Computer Repair Service Shop. We service All Brands of PC, MAC, plus iPad, and Android Mobile Devices. Our computer technicians handle home computer repair and business computer repair. Call us for Our SSD Drive (Solid State Hard Drive) Upgrade Special! Choose In-Shop or On-Site Mobile Computer Repair, PC Maintenance and Tech Support service. Honest, Friendly & Reliable Service. FAST! Most onsite repairs in 1-2 hours. Most In-Shop repairs in 1-2 days. Some Repairs completed Same Day! Expert Computer Help & Support. 30 Years Experience. All Work Guaranteed! Get to know us! Get Tech Tips & News at our Tucson Computer Repair Facebook Page! We’ve seen it all over the years and can clean up just about anything. Virus removal, Trojan removal; Adware removal; Malware removal; Spyware removal. We believe in doing a thorough job, using no less than 4 separate scanning tools on every virus repair job. We also include a complete, full PC System Cleanup & Tuneup, plus Critical Updates! Why do we do all this? Because just getting rid of the immediate virus infection, like those cheap repair services offer, is not enough. Traces can be left behind that can re-infect your PC. We promise to leave your PC sparkling clean! This process also restores your PC’s performance. We also include Free Antivirus & PC Maintenance Software Suite for you to keep. Read more on our Virus Removal & Repair page. Are you experiencing a system crash, error messages or system freezes? Is your computer doing “crazy” things? This is usually due to the software in your PC. It could also be a virus infection. We are experts in software analysis and can find out what programs are causing you issues and why. Is your PC slow? Does it take forever to start? Does it hang and delay? We‘ll clean and tune up your computer to make it run like new again! We have a wide array of tools and decades of experience in diagnosing the causes of computer performance problems. Often, there are viruses and spyware present that contribute to this issue. Keeping your system clean, tuned and up to date is very important, and we recommend having this computer tuneup service done annually. Many security and performance issues are resolved by having this service done. This is one of our most popular tucson computer repair service requests. We provide expert computer hardware repair services, such as memory upgrades, hard drive replacement, video card replacement, motherboard replacement, laptop power jack and hinge repair and more. We make sure that each hardware component is configured correctly to provide the best performance and reliability. Note: For laptops, internal component repairs are much more complex. See our Laptop Service page for more. Want a bigger hard drive? Better video or HD video? Want the latest version of Windows? We just love doing computer system upgrades. It’s fun to see an old, limping PC come springing back to life! You may be surprised at what we can do with an old dinosaur! Did your Internet stop working? Are you unable to connect your laptop to your wireless network? 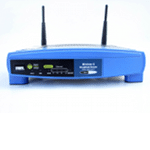 Is your WiFi network signal weak or intermittent? Wireless Router and Wireless Security Setup. Wireless Printer, Range Extender Installation. Do you have a Dead, Crashed or Terminally Infected Computer? Are you worried about your data? As we mentioned above, we can recover your data in almost all cases. If your hard drive is severely damaged and we cannot get your data, we can ship your drive to our data recovery partner. These are the guys in the clean rooms with the bunny-suits that take the drive apart and reconstruct your data. Disasters can happen. 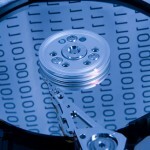 If you are suddenly faced with a crashed hard drive or a stolen computer, will you have a backup of all your data? Many people never think about backups until it’s too late. We can provide a comprehensive backup system and disaster recovery plan to protect your data and minimize your downtime. 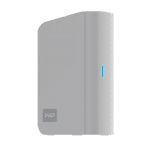 This includes both local backups to an external hard drive, as well as online backup. Strange noises from the hard disk – high pitched whining, grinding or clicking noises. Error messages on startup or failure to start. Losing data – files are suddenly missing or corrupted. Frequent computer freezes – the whole computer stops responding. These symptoms often indicate imminent hard drive failure and should be investigated right away. The best advice is to stop using the computer immediately and give us a call! This will provide the best chance of recovering your information. Backup and recover your data. Installation of all the basic software you need to get back up and running. Installation of all Windows updates, so your PC is fully up to date. Reinstalling your programs, like MS Office, etc. (bring in your disks). We include a full suite of free maintenance and security/antivirus software. After 3 years or so, Windows starts to lose performance and starts crashing and locking up. Believe it or not, this is actually normal. This process makes your PC run like new again! It will regain its performance, be sparking clean, and get a new lease on life. Hobbyists and performance fans do this every 2-3 years because Windows actually deteriorates over time. This is one of our most requested computer repair requests, and our customers love the results! If your PC is over 3 years old, we urge replacing the hard drive as well. It’s the part that gets the most wear & tear, and tends to fail earlier than the other parts of your PC. It makes sense to do this, since you’re reinstalling Windows anyway. Our other services round out our full range of offerings for all your computer related needs. – Connecting your Tablet Device to your home network and printer. – Gaming System Repair & Setup (Xbox, Play Station, etc.). In this age of “Convergence”, more and more devices interact with your computer and internet.